Title: 'Cornwall', sold by Bassett & Chiswell. 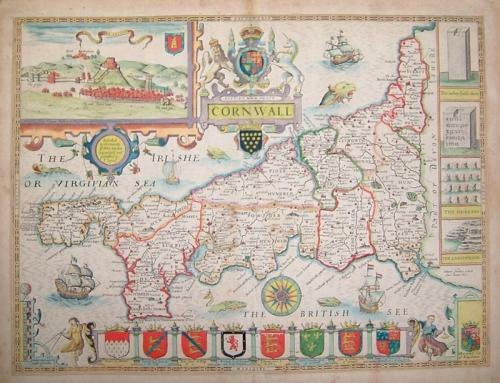 A hand coloured engraved map, with a title cartouche surmounted by royal arms, and an inset view of Launceston, engraved armorials and antiquities. The map is in very good condition with a minor lower central fold split that has been expertly repaired. Mild toning at the margins.